Are you looking for Popular Diagnostic Center Dhanmondi Contact Number? You’re done! Here is all about Popular Diagnostic Center Dhanmondi as well as other branches across the country. Popular Diagnostic Center Limited is a renowned healthcare organization for the advance medical and diagnostic services in Dhaka, Bangladesh. The hospital is one of the luxurious diagnostic centers in the country was inaugurated in 1983. 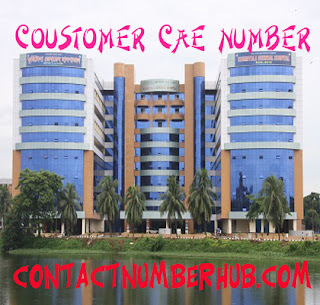 This is the biggest diagnostic center among the private healthcare organization in Bangladesh. It has been pioneer introducing the latest and world class medical equipotent with advanced technology offering round-the-clock medical services along with investigation as well as consultancy. Popular Hospital is another feather in the healthcare sector of Bangladesh. It has set a new era in the healthcare and medical field. It’s the first super-specialty international standard hospital in Bangladesh dedicating exclusive medical treatment and diagnostic services in Dhanmondi, Dhaka. The hospital is legally registered under the Ministry of Health and Family Welfare with license number of 1275 & 688. House Number 16, Road Number 2, Dhanmondi, Dhaka – 1205. 231/4, B. B. Road, Balur Math, Chashara, Narayangonj. Road # 7, House # 21, Sector # 4, J. U. Moar, Uttara, Dhaka. Road # 6, House # 67, Block # C, Avenue # 5, Mirpur, Dhaka. Sherpur Road, Thanthania Bus-Stand, Bogra. Chowdhury Tower, House # 474, Laxmipur, Rajshahi. House #44, 1 No. Upashahar, Fulbari Bus Stand, Dinajpur.